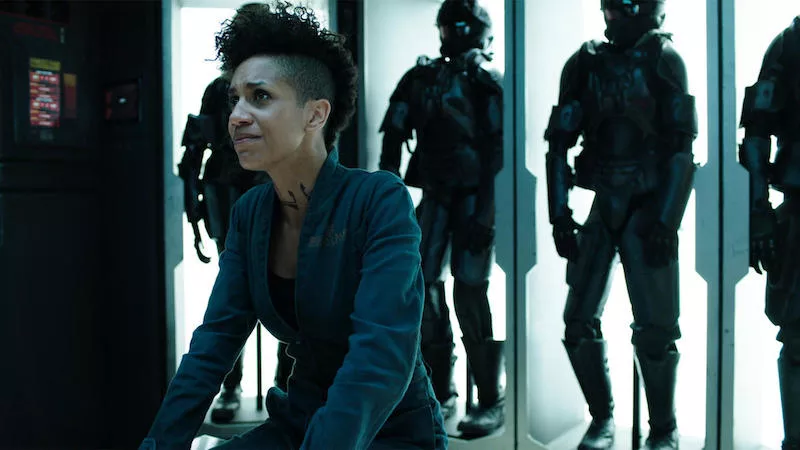 Dominique Tipper as Naomi in The Expanse. Thank Jeff Bezos and the desiccated capitalist husk of our entertainment economy, because sometimes good things do still happen. Last night, at the National Space Society’s International Space Development Conference in LA, Jeff Bezos took the opportunity to announce that The Expanse, one of the best scifi shows on TV (if not the best, by many accounts), will find a new home on Amazon for its fourth season. Its third season is currently airing on Syfy, and news of Syfy’s impending cancellation of the series was met with a huge fan outcry, and heavy speculation of a revival on another network or platform. Congrats, fans: you were right. In a revival-happy television season, this is one of the best bits of news yet.